Online reviews are a vital part of the modern restaurant scene, helping customers to make educated decisions on where and how they should spend their hard-earned money - after all, there’s nothing as disappointing as a bad restaurant experience. Up to two-thirds of customers form an opinion about an establishment or product after reading just four online reviews - because of this, earning a negative online review can cripple your business and cause you to lose money, goodwill, and can destroy the reputation of your foodservice business amongst other industry professionals. Foodservice professionals can easily stay on top of negative reviews across the many review aggregating websites through reputation management and monitoring tools like BrightLocal, Vendasta, ReviewPush, and others that help you to stay organized and address problems efficiently. Check the Validity - Before you address the negative review in question, you should first ensure that the review is in fact from a verified customer. Ensure that the date/time of the complaint adds up, that the details seem to be at least partially factual, and that the review in question is legitimate. Sometimes negative reviews are posted by competing businesses in an attempt to discredit your establishment, so checking that they are in fact valid can help you recognize these unfortunate dirty tricks and report them to the appropriate platform. Respond - Always respond promptly and courteously to negative reviews online, even if the accusations or criticism is completely ridiculous. Not responding to negative reviews will alert other users that the criticisms may hold weight, and will cause them to form negative perceptions of your business. Being quick to respond and using empathy whenever it’s appropriate can cause negative reviewers to edit or remove their reviews. Talk to the Reviewer - Taking it offline and meeting with the reviewer through email, instant messaging, or a chat on the phone can give you a chance to address the review head on, and gives you the opportunity to rectify the situation. Don’t be a Doormat - Responding courteously doesn’t mean that you are letting the negative reviewer walk all over you. Negative reviews can arise from misunderstandings or when a customer is not aware of business policies and practices. When you know for a fact that you are in the right, it’s important to clarify and explain your side of the story and articulate why the reviewer may be wrong - this will help to reduce the risk of having other users take the side of the negative reviewer. Review the Complaint - Even when negative reviews are outrageous, there’s a chance that they contain some measure of truth. It’s important that you determine what, if anything, about the review is true, and what you can do to change or remedy the problem. Negative reviews can often be used as a learning experience for business owners in this way, helping you to pivot or adapt to customer needs and reduce the chances of future negative reviews. Don’t Feed the Trolls - With the internet being largely anonymous, there’s a chance you may attract the attention of trolls looking to antagonize your business for the sake of maliciousness. If you suspect that your business has been the target of troll reviews or fake reviews, just report them on the appropriate platform and move on with your day. There are online platforms dedicated to recognizing fake reviews, this may be worth looking into if you are the victim of falsified reviews. Whatever you do, resist the impulse to get into a comment war with the reviewer on the platform in question. While this has gone well for some businesses in well-publicized social media rants, this is very rare and you will more likely come off in a way that damages your brand. Usually, if a review is outlandishly ridiculous, sane customers will recognize that and not take it into account. What can be tough is if you had a legitimate issue with a customer and either had to kick them out of your establishment - these people will typically go onto review platforms out of spite. In that case, it’s best to factually explain your side of the story and not get into an argument with the reviewer. Leave emotion out of it as much as possible. When you aren’t having any luck persuading a reviewer to edit or remove their negative feedback, you may have to explore using the power of positivity. One of the best ways to combat negative online reviews is to use positive reviews to bury and dilute the impact of negative reviews. While negative reviews will still affect your overall rating on aggregate platforms, accumulating more positive reviews will drastically help to reduce the impact that they have on your business. 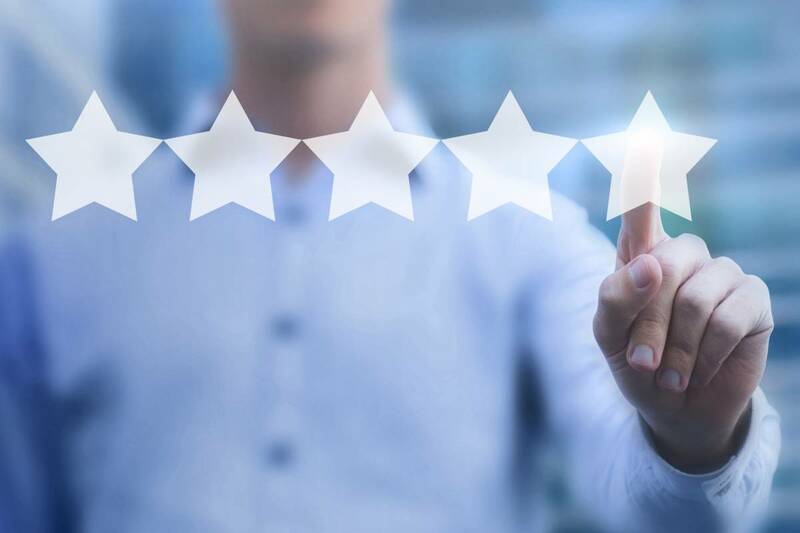 Encouraging your customers to leave positive reviews can take some persistence and creativity, but is more than worth the effort and will protect your establishment from negative reviews. Reminding customers to leave a positive review upon checkout, creating incentives for customers leaving reviews (something small like a free drink or appetizer, you don’t want it to be a “paid” review so something more substantial would not be appropriate), promoting reviews through social media channels and your company’s website, providing links to review platforms, and posting testimonials to your website can all work to encourage positive reviews and help your business to build a rock solid review rating in no time.